How to export iPhone contacts from iPhone to Mac computer and to iCloud? If you want to secure your contacts, you can export your iPhone contacts to you mac and to iCloud. height="200" /> Considering iPhone plays more and more important role in our daily life and work and the time you spend with your iPhone becomes more and more. You keep in touch with your friends and family with your iPhone, you communicate with your customer and coworker with iPhone and you kill time by playing games on your iPhone. The iPhone cannot live up to its names as a mobile phone without contacts on your iPhone. Therefore, securing your iPhone contacts is a mission you must give high priority to. Though iTunes is available to back up your contacts, it does not back up your contacts selectively and there is no chance to restore your lost or deleted contacts once the iTunes backup file is damaged. I am going to talk about how to export from iPhone to Mac computer selectively to Mac computer, save iPhone contacts to iCloud and to gmail for multiple backup respectively. 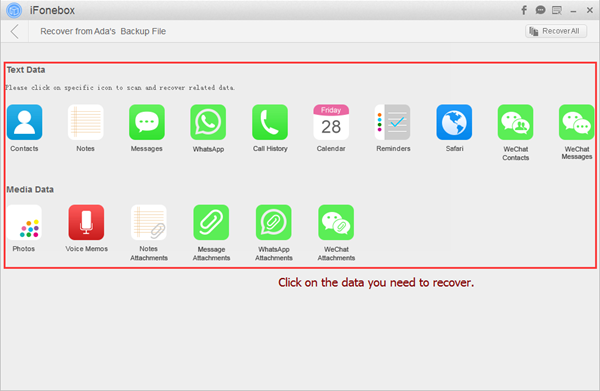 To export contacts from iPhone selectively, you need the third party iOS data recovery software iFonebox. 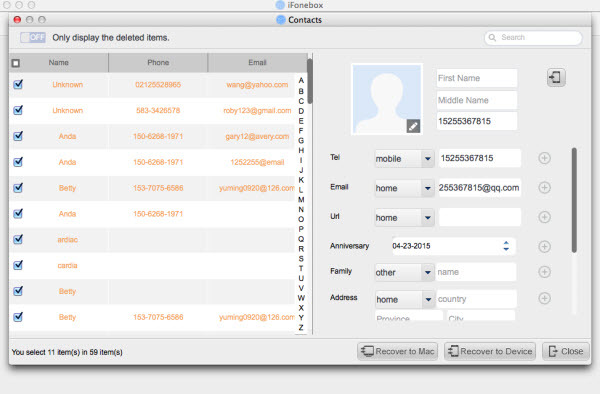 As special iOS data recovery software, iFonebox is capable of exporting and transferring your iPhone contacts to computer selectively. You can download a free trial version of iFonebox to have a try but you need to pay for the full version if you want to save your iPhone contacts to your computer without iTunes backup. Step 1: Install the full version of iFonebox and launch it. 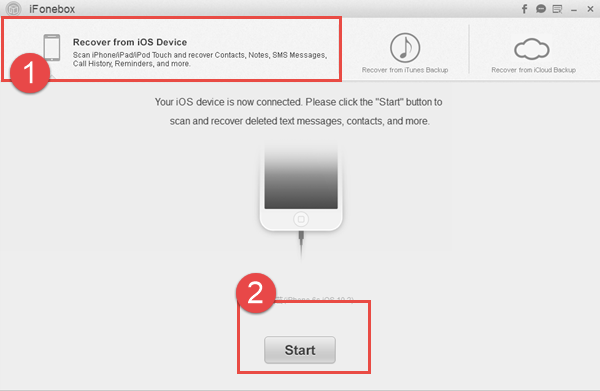 Connect your iPhone to your Mac and click “Start” when your iPhone is detected by iFonebox. Step 2: Choose Contacts to recover by clicking on the icon of contacts. Step 3: Preview the exported contacts and choose whatever you want to transfer to your computer. Step 1: Open the Settings app on your iPhone. Select the "iCloud" option. Step 2: Log in with your Apple ID. Most users will have already logged in with the ID when setting up the iPhone. If you don't have an Apple ID, tap "Create a new Apple ID" and follow the prompts. Step 3: Toggle the "Contacts" slider ON. It will be green when enabled. This will automatically back up all of your iPhone contacts from your Contacts app to your iCloud storage. Note: Select "Merge" if prompted. If you have contacts on your iPhone already, you'll be informed that your contacts will be merged with your iCloud account.